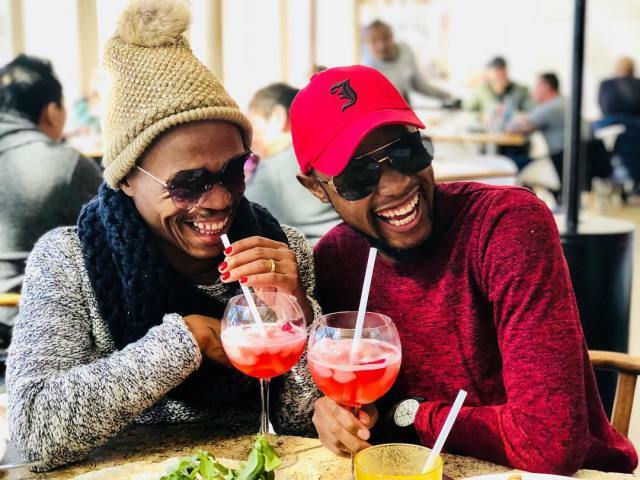 Fans of the soon to be wed Somizi Mhlongo and Mohale Motaung were left disappointed on Sunday morning after a report was published alleging that Mohale has tried to step out on Somizi. According to Sunday Sun, Mohale was seen cosying up to a young man, whom they have identified as Vuyo Pan, during his 24th birthday dinner in the Northern suburbs of Johannesburg two weeks ago. The report also alleges that Mhlongo did not attend the party because they had recently had a disagreement but his friends were there to witness his fiance’s behaviour and report back to him. Somizi's fiance Mohale is allegedly, cheating on him with a young man named Vuyo. So, Vuyo has been receiving threatening text messages sent by Somizi, allegedly. The report then goes on to allege that Mhlongo then contacted Vuyo via text and proceeded to threaten him to get him to stay away from Mohale. Sources went on record to state that it was Mohale who reportedly made the first move and had set up meetings with 19-year-old Vuyo that were said to be about business/work opportunities. He went on to add that he has stopped contacting Mohale and does not understand why he is being attacked when he is not the one making the moves. Somizi and Mohale have yet to comment on the matter.